Any Harvard graduates currently residing in the Austin area are welcome to join us for regular activities, networking, and community building. 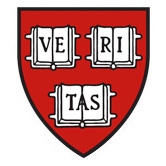 Our club welcomes all Harvard University graduates, including graduates of the Law School, College, School of Education, Business School, Medical School or any of the other degree-granting parts of the university. We also welcome membership from current students and parents. Our club serves as an excellent way to meet new, interesting people, and to stay in touch with the developments in Cambridge. Our club also plays an important role for the College in its commitment to interview every candidate. Students interested in applying to Harvard are welcome to contact Dean Chandler at chandean1@outlook.com with any questions. We are grateful to our sponsors for their support! If you are interested in sponsoring an HCA event please contact us at austinharvard.org@gmail.com.